Start quick, start simple, what can I find on the network? While that’s running, I take a look at the source. Derp. Geek trivia ftw. New release '16.04.1 LTS' available. Run 'do-release-upgrade' to upgrade to it.
? What is convert ? `/tmp/magick-0hp3Ev9X': No such file or directory @ error/blob.c/OpenBlob/2638. wtf? oh. Slashes are going the wrong way. Derp. drwxr-xr-x 6 eugene eugene 4096 May 14 14:31 .
drwxr-xr-x 5 root root 4096 May 5 18:49 ..
No idea wtf. I guess a binary? Strings is just about the extent of my binary reversing know-how, and it tells me nothing. Moving on. rastamouse again saves my behind. This worked, but Screen Sharing on my mac never connected. Time to try something different. Sudo has already leaked info about this machine, maybe it can tell me more. Mr The Plague has some helpful settings. What is virt-manager? Well that sounds like fun. two06 reminds me that the vm author dropped hints. Reconnect ssh with margo ssh -X … Nope. I need .xauthority file. mkay. well I can privesc back to root. drwxr-xr-x 3 margo margo 4096 Aug 24 17:06 .
drwxr-xr-x 5 root  root  4096 May  5 18:49 .. I get the image file somewhere I can toy with it. Well, sort of. Verifying and mounting the image in anything resembling a useful manner caused me to hit too many GNU vs BSD inconsistencies. Inconsistencies that make sense given the history, but that I had never seen first hand before. of stuff it’s not worth my time to troubleshoot, not when I can just fire up a Kali VM and have all the tools at my disposal. characters. I build a quick wordlist from his name and those characters, then settle in to learn about JohnTheRipper. you ad rules? Drop them into /etc/john/john.conf. Yup, just paste them right in the middle of the file. Wait, why am I adding rules? At this point, I am long off track of doing this based on stuff I have experience with. Reading around, Kore Logic rules are apparently the only way to get the most out of john. Specifically, everyone says that I need to run my wordlist through the l33t rules to generate a second wordlist to run against the flag.txt.gpg file with gpg. Then it’s a simple shell script to throw that list at the gpg until it opens the flag. detail and depth of this challenge, it took a lot more effort than I expected. services, interacting with them in new ways, and forensics. This edits in place a given <filename.ext>, dropping any lines that match the <pattern>. Took me about 20 minutes to figure out that an eccentricity in the BSD version of sed requires the extra empty quotes. Originally I was trying the following, which should work on Linux, but not OS X.
sed: 1: "./known_hosts": invalid command code . I found the solution in the comments of a stack overflow answer. I’m sure there’s a good reason it works differently in BSD vs GNU, but it’s not worth my time to learn why at this particular moment. 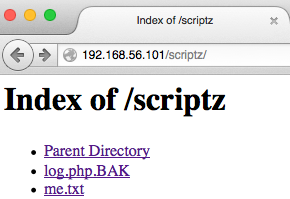 Another botnet c2, by the same author as Dexter. First scan shows http, so that’s where I started. Hiiting http://192.168.56.101/ with a browser there is a message directing you to /bot/bot.py. That’s my first target, but how do I get there? Browsing to http://192.168.56.101/bot/bot.py gets a 403 access denied. There is no robots.txt. Brute force? 00000: C=200 0 L 5 W 52 Ch "index.php"
00012: C=200 5 L 4 W 37 Ch "footer.php"
00020: C=200 0 L 0 W 0 Ch "config.php"
00021: C=200 53 L 166 W 1810 Ch "header.php"
00030: C=200 57 L 167 W 1769 Ch "admin.php"
00037: C=200 0 L 8 W 51 Ch "functions.php"
00115: C=200 57 L 167 W 1769 Ch "commands.php"
00190: C=200 0 L 0 W 0 Ch "submit.php"
01058: C=200 57 L 167 W 1769 Ch "stats.php"
04613: C=200 57 L 167 W 1769 Ch "bots.php"
admin.php? don’t mind if I do. Start Burp to keep track, and dive into admin.php. Just a login. A quick run with sqlmap has no results. Fairly lost again, I start reading my cheatsheets. Turns out there’s sqli on gate2.php. It accepts a parameter ‘hwid’ that is injectable. Here is a default request for that page with all the parameters, per the author’s discussion. This is really easy to turn into a functional injection with sqlmap. I have access now as whatever the app runs, so what more info can I retrieve? At the very least a login to the control panel at admin.php. Well, maybe. There doesn’t seem to be a users table or anything like that. Root in the db is not the same as logging into the application. I need a valid login to the c2. More cheatsheets, this time just the sqlmap documentation is enough. sqlmap has a read local file option?! Now I have login to the web application, next goal: interactive login to the server. There should be somewhere to inject code, execute commands, or something to get me in business. Well, there’s a command interface on the control panel. one of which executes a file from a url. That’s easy enough to manipulate. Then tell control panel to hit that file. The bot will execute, sending shell to waiting nc on attacker machine. in turn gets us interactive shell as low privileged user. As an unprivileged user, next step is find the opportunity to elevate that privilege, and finish the game. First things first though, let me see what that bot file says. * print the second field(ip4 address) + a random number between 0 and 1 + …awk docs say substr takes to extract from a given string. I’m not following how this works. Time to test. Finally, use hydra to brute the ssh login. except hydra needs a bunch of stuff that’s not on OS X by default. That’ll probably get it’s own article at some point, because it took me a good bit of googling and trials to get it running against ssh. Anyhow, in, and root. Hydra v8.4-dev (c) 2016 by van Hauser/THC - Please do not use in military or secret service organizations, or for illegal purposes. Disclaimer: My solution below is not unique or original. I have relied on, modified, and sometimes directly copied techniques I grabbed reading the walkthroughs linked on VulnHub.com. If I failed to give anyone credit, their hard work is linked out from the vulnhub page and I urge you to read their write-ups as well. Murdering Dexter is a VM created from the command and control panel from an actual botnet. Brian Wallace of Cylance found this in the wild, reversed it, and built a VM for practice. His story is chronicled on Cylance’s site. Since I’ve been pulling things from vulnhub.com randomly, I didn’t know what I was in for until after I had loaded up the vm. Starting with the normal scan I found little to interact with. Reading other solutions indicate there is stuff I’m not seeing, brute force to the rescue! I didn’t have dirbuster on this machine, so I tried my hand at wfuzz. This uses a seclists payload, hides 404 responses, and outputs results to a file. 00001: C=200 7 L 18 W 234 Ch "index.php"
00008: C=200 0 L 0 W 0 Ch "config.php"
00036: C=200 2 L 0 W 4 Ch "main.php"
00120: C=200 1 L 0 W 2 Ch "info.php"
00453: C=200 0 L 0 W 0 Ch "load.php"
03324: C=200 12 L 45 W 385 Ch "master.php"
05161: C=200 20 L 43 W 514 Ch "upload.php"
05162: C=200 7 L 7 W 90 Ch "pagination.php"
Taking a look through the browser(always proxied through Burp), master.php has what appears to be a command interface. A quick test with commix says not so much. Also I get good practice at when/why to escape bash strings. [*] Setting the GET parameter 'command' for tests. [!] Warning: It seems that you don't have permissions to read and/or write files in '/var/www/Panel/'. [!] Warning: The tested GET parameter 'command' seems to be not injectable. [*] Setting the GET parameter 'Value' for tests. [!] Warning: The tested GET parameter 'Value' seems to be not injectable. [*] Setting the GET parameter 'submit' for tests. [!] Warning: The tested GET parameter 'submit' seems to be not injectable. [x] Critical: All tested parameters appear to be not injectable. Try to use the option '--alter-shell' and/or try to increase '--level' values to perform more tests (i.e 'User-Agent', 'Referer', 'Cookie' etc). Other writeups tell me there’s sqli on gateway.php, but all link to the same exploit, https://www.exploit-db.com/exploits/31686/. Which is written by the guy that wrote the VM, who originally posted the script on his github. I put in some practice with sqlmap and got nothin. IDK what he’s doing in that script enough to reverse it in a different approach. Nearest I can tell he’s hitting page and val parameters with something base64 encoded. but I couldn’t replicate until I found the Cylance blog linked above. 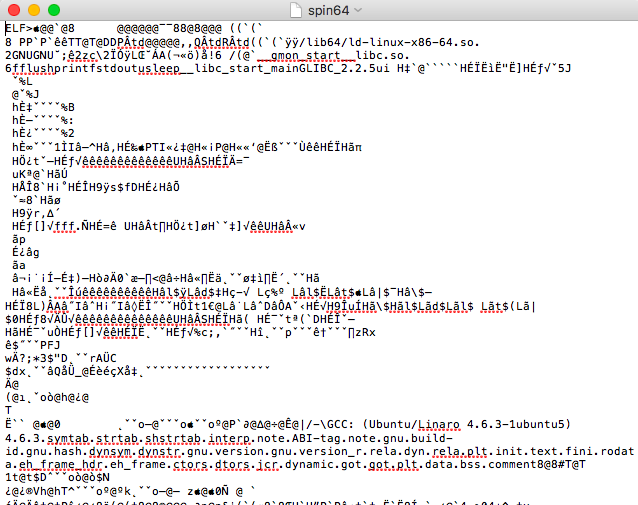 It took me a few tries to determine what I needed, where to get it from, then a LOT of time to brute force a blind sqli. I’ve concatenated my commands and the results from both the command output and the log file. This takes up a lot less room than the actual full command output, so if you’re trying to repeat this, and seeing differently formatted output, that’s why. “page” parameter, encoding, then sending that data to mysql. Now it’s just a matter of fumbling around the dbms until I find the data I want. 1. learn where I am, and who I am. 2. Learn what other users exist. Nice! root/password is a valid db user. Doesn’t work through the web app though. 3. Learn what other databases exist. Here I killed sqlmap because everything other than “nasproject” looked like a system db, and I’d rather spend my time attacking the application for the moment. 5. Find a valid user for the application. Bingo. Now I have the access that everyone else got from just running the author’s script. To break back out how the sqli works, you need a static val, AA== to be encoded with/by the page parameter. Then you can set to work on the DB. The author knows this b/c he read the source, and everyone else just used his script. I’m not better for doing it the hard way, but I feel like it was worth the effort to get more practice. 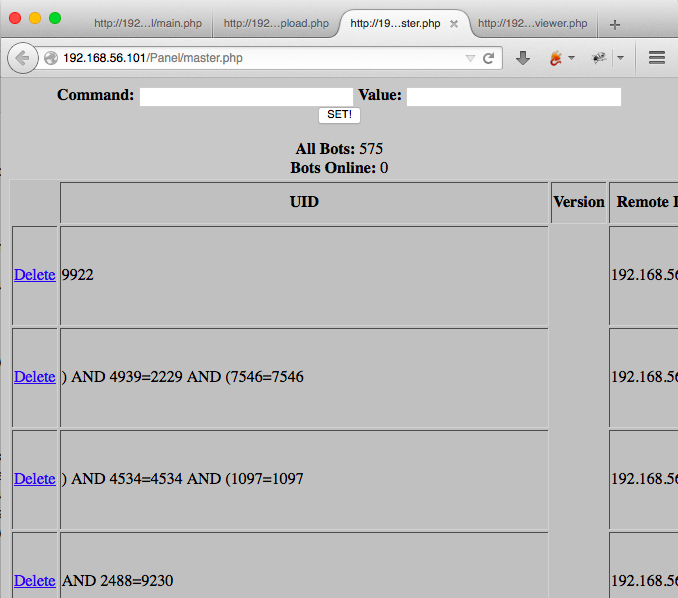 Now I have authenticated access to viewer.php, master.php, and upload.php. viewer.php didn’t really look interesting, master.php looks really polluted by sqli attempts, and upload looks like an upload. Ooo, yeah. However, I have no shells. tools.kali.org to the rescue! remote: Counting objects: 80, done. Receiving objects: 100% (80/80), 39.09 KiB | 0 bytes/s, done. Honestly, of all the tools I use for things all the time, git, in relationship to people sharing their hard work, is the best tool. “git clone” is magic. If it’s not what I need, I can modify, and if it does what I want, even better. Repositories like webshells and sec lists are even better since they’re guaranteed to work anywhere git does because they are just text files. 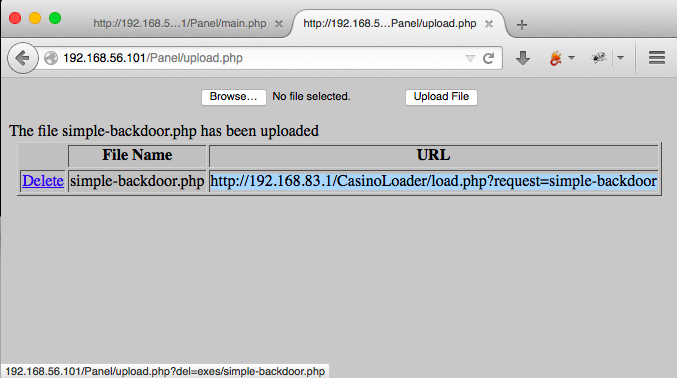 So we upload our backdoor, and get even more info that we hoped! Now I need to know what account I’m running under, and what I can effect with it. Abbreviated to the shell commands, but you can trust I ran them through the browser. It’s all the more access I have at the moment. , through the browser and we’re in! drwxrwxrwx 2 root root 4096 Aug 10 08:31 .
drwxr-xr-x 3 root root 4096 Mar 16 2014 ..
Ah, interactive shell! Still only www-data. Which is nice, but not enough. OK, now we have potential. What are these anti tamper files? .list is just that, a list of json. .py is a script that opens .list, reads the content, and for each value iterates through an md5 check. With a shell command. It stands to reason that if one were to modify the source file, antitamper.list, you might could just get straight command injection. I wonder what executes antitamper.py? Once I got through that hurdle, I got root. I learned a whole lot more than anticipated on this one, and in addition have new questions. When going down wrong paths not seeing my typo, I found that it’s a cron job running the python script every other minute. That’s how I get a root shell. But how would you enumerate that without access to the OS at another level? This time I got so pissed I mounted the .vmdk(through a really sweet tool, http://vmxray.com) and checked to make sure that’s what was actually happening. I don’t know how you avoid this in the wild. Other than, of course, not typing your exploitation. Disclaimer: My solution below is not unique, it is an amalgamation of techniques I grabbed reading the walkthroughs linked on VulnHub.com. If I failed to give anyone credit, their hard work is linked out from the vulnhub page and I urge you to read their write-ups as well. Pandora’s Box is a VM created by c0ne. This wasn’t the second, or even the third VM I tried to work through, but it is one I found worth writing up, because it took me way to long to do a simple thing. The best way to learn sometimes is, actually to RTFM. -sV scans and looks for versions, but by default does not scan every port. ‘-p-‘ gives you every port. This gives me the results I’m expecting. So now I have seen the port I know is there, what can be done? netcat gives a response, an unlimited, unrestricted login prompt. With that, the obvious solution to me is to attempt to login. But how? I can see writing a script to brute it, but I don’t know how to validate it. Smarter heads than I seemed to observed delays that would recommend using a timing attack. Thanks, rastamouse! Rasta has great idea, but I wanted a little more hands on practice and effort, rather than copy/pasting someone else’s code, watching it run, then reporting it here like i did something. So I poked around and found jelleverg’s awesome tutorial. His script looks way more hackery than rasta’s, so I thought it would be fun to port to python3. Holy crap. Amateur move. Probably about 6 hours of fumbling, googling, fumbling, and more googling, and I still never got anything even remotely working. After stumbling a bunch, I finally just ported over rastamouse’s super simple, still kinda broken script. I had to learn about how python3 handles raw socket communication(bytes vs strings). For posterity, I have saved the script, and my other attempts out on my github, but that’s up to you to research, since they’re nothing I’m proud of. The last one finally does work in python3 though. How do you get to be a pentester? Practice. Pipe is a VM created by Sagi. I made a new commitment to myself to start working through these and writing them up, and this is my first example. My solution below is not unique, it is an amalgamation of techniques I grabbed reading the walkthroughs linked on VulnHub.com. I used Virtualbox for this because it’s what I had handy. The VM comes as an OVA, so loading it in Virtualbox is simple, just File -> Import. Networking can be confusing if you’re not practiced with hypervisors, in my case I chose to create a Host-only network(Virtualbox -> Preferences -> Network -> Host-only networks), checked the IP range and that DHCP was turned on. After import, you want to verify the network adapter settings of the VM and start it. In my case I did it headless. 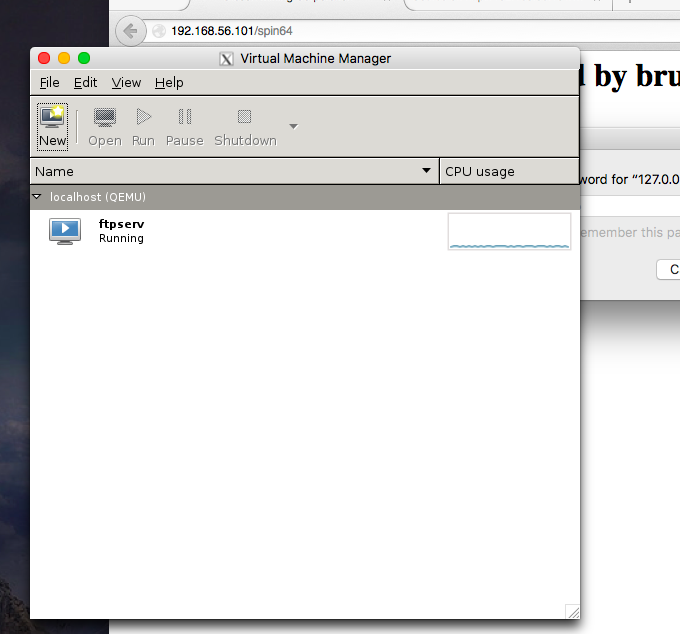 I have no need to interact with the console, and since 5.0 Virtualbox has had the option in the GUI to start headless. The default option here is nmap. that’s where I ended up. First I thought to try the idea I read in this tweet, however, that’s for Windows, and I am on a Mac, and I’d rather do the practice attacking than translating cmd to bash. This means the fallback is for me to start googling the parameters I can never seem to remember. Wicked, host found at 192.168.56.101. Moving right along, what’s it running. Again, more googling for nmap parameters. Nmap scan report for 192.168.56.101 Host is up (0.0046s latency). Hooray! Open ports! Easy to investigate open ports, like 80. Pointing a browser at it is a little disheartening at first. All you get is a login dialog. All my reading on other people’s hard work leads me to believe that tampering with HTTP verbs will help. I pointed the browser at a localhost proxy on 8080 and fired up BurpSuite. I tried every verb I know about(or could read about on wikipedia) without much results. I did see a 405 error, which I can’t remembering having see before. To get these results I captured a get request and sent it to Burp’s repeater tab, then just altered the verb each time. So moving right back to my handy cheatsheets, I found you just need to send an invalid verb. In my case I chose BOB. Again I met a snag. The base “/“ request didn’t work. Instead of running back to the answers, I looked at the evidence I had. 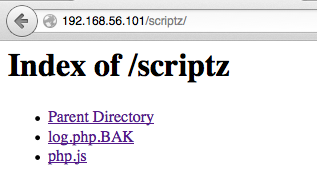 Slash was redirecting to index.php. Trying http://192.168.56.101/index.php still got me the login box, but if I repeated that request with my friend BOB, I got a result! I sent that back to the browser to further investigate. Seems like a great spot to start injecting things, but what? I threw it over to the decoder tab, but that didn’t really clear anything up for me. Oh look, an accessible directory! Reading the files didn’t personally give me any insight into what’s happening, which really shows I need to work on my code reading skills. This means back to the cheatsheets, for the wisdom of folks much more experienced than I.
OOOOOO, the power, I can feel it. Teaches me all about webshells. And that I need to install something listening on my attacker computer. Homebrew to the rescue. Time to do the real hacker stuff. Hitting this link with Firefox, and watch the magic of vulnerable web servers. Here’s what I saw and did to check myself when the connection came back. drwxr-xr-x 2 www-data www-data 4096 Feb  4 07:30 .
drwxr-xr-x 4 www-data www-data 4096 Jul  9  2015 ..
Full disclosure, as a newb, I’ve done nearly nothing with remote shells in this capacity, and the lack of prompt threw me off. I accidentally killed the connection more than a few times following my example mentors. Reconnecting is as easy as hitting the up arrow in Terminal to restart the listener, then refreshing the link in Firefox to restart the connection. So what do we know now? We’re interacting with the vulnerable machine as the user www-data. What can we do? Plenty, as it turns out. Privilege escalation is the only logical solution. So I poked around looking for info in the few files I found. /scriptz/.htaccess had nothing interesting. Moved up a directory, and .htaccess points to .htpassword. .htpassword has … A USER! W00t. Now what can our new best friend rene do? Start by looking to see if they have anything interesting. drwxrwxrwx 2 rene rene  4096 Feb 11 07:03 . That’s pretty interesting. Something is writing files. Actively. Cron is a handy tool for automated things. Wonder what it has to say for itself. Again my inexperience is a detriment. The last time I looked at a crontab file was 5 years ago. The last two lines did stick out to me as something interesting. I can’t access /root as www-data. Can I read /usr/bin? Yup. especially asterisk (*), Unix shell will interpret files beginning with hyphen(-) character as command line arguments to executed command/program. That leaves space for variation of classic channeling attack. Channeling problem will arise when different kind of information channels are combined into single channel. Practical case in form of particulary this technique is combining arguments and filenames, as different “channels” into single, because of using shell wildcards. With that in mind, the exploit below makes much more sense. First I verified I was where I needed to be on the vulnerable machine. Assumptions verified, I followed the example of my favorite anonymous mentor, @g0blinResearch. I’m inserting files named as commands, which in turn are telling the vulnerable string in /usr/bin/compress.sh to create shell.sh(as root b/c of cron) and that it should change the SUID bit on /bin/dash. 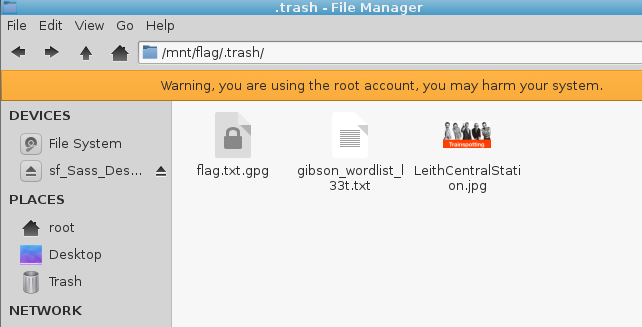 This means that as /bin/dash is called from any user, it will be running as root. I may be articulating this poorly, but if you follow the commands below, you see I get root. This is our exploit, creating three files, and changing shell.sh to be executable. Below I’m verifying this worked as intended. drwxrwxrwx 2 rene rene 4096 Feb 11 07:13 .
drwxr-xr-x 3 rene rene 4096 Jul 6 2015 .. Waiting for the next loop of cron to run, I go and get a cup of coffee and check back by running /bin/dash. I guess that’s the root part of boot2root, huh? Well then. Lets just finish this quickly to get moved on to the next. and the lovely folks at vulnhub.com. If you’re interested in this stuff, I highly recommend you pull down some of their VMs and try it yourself. It’s not that hard, it is that fun, and there’s a lot to learn! Since I’m done, it’s time to turn off the lights on my way out of the VM, since I’m root and all.